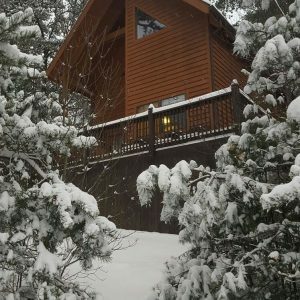 For all-inclusive cabin rentals near Grandfather Mountain, check out the properties available through Blue Ridge Parkway Cabin Rentals! 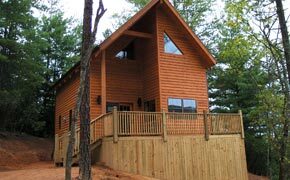 Our cabins are situated in the heart of the Blue Ridge Mountains, right off the renowned Blue Ridge Parkway. Nature lovers will revel in the seclusion of our rentals, which are literally surrounded by the picturesque Pigsah National Forest. And because our cabins are among the few that are literally located right off the Blue Ridge Parkway, you’re just minutes from dozens of trailheads located along the scenic highway. When you stay with Blue Ridge Parkway Cabin Rentals, you’re just a twenty-minute drive from Grandfather Mountain. The globally-recognized nature preserve is the highest peak among the Blue Ridge Mountains. The mountain features incredible views of the surrounding vista, over 12 miles of alpine hiking trails, and protected wildlife habitats. But it also offers a mile-high swinging bridge, nature museum, restaurant and gift shops. In addition to their proximity to Grandfather Mountain, our cabin rentals are also located near a variety of other natural attractions. The Linville Falls Recreation area is just a ten-minute drive away, as are the Linville Caverns. Mount Mitchell is just twenty-five minutes away, and all the skiing you could handle is within a forty-minute trek. The Pigsah National Forest and Blue Ridge Parkway also offer a plethora of opportunities for fishing, hiking and biking. And both are located just steps away from our cabins’ front doors. Although our cabins feature pine plank walls and rustic furnishings, they offer a variety of modern amenities for a truly relaxing getaway. Cozy up by the fireplace, relax in the hot tub, or enjoy a glass of wine on your front porch as you enjoy breathtaking views of the surrounding scenery. Flip through 190 channels of satellite TV, or hop on the Wi-Fi to browse the web. Ceiling fans and air-conditioning keep things cool in the summer. And the 45-foot cathedral ceilings and large windows make the interior cheery and bright. For cabin rentals near Grandfather Mountain with the best views and all the comforts of home, book your stay with Blue Ridge Parkway Cabin Rentals today!